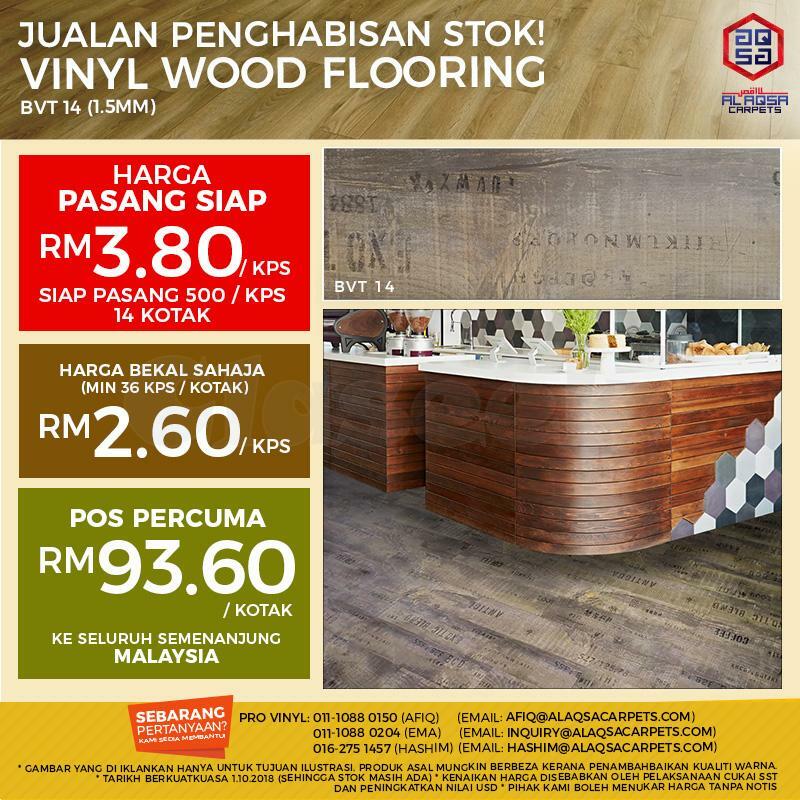 » Buy our BVT14 wood vinyl flooring at the #cheapest price! Buy our BVT14 wood vinyl flooring at the #cheapest price! 4) Tidak ada MASALAH ANAI-ANAI !